Albany's only award winning hostel Albany Bayview Lodge YHA is located in the historical district only three minutes walk from York St in Albany’s city centre. Situated on a quiet leafy side street with magnificent views overlooking Princess Royal Harbour. 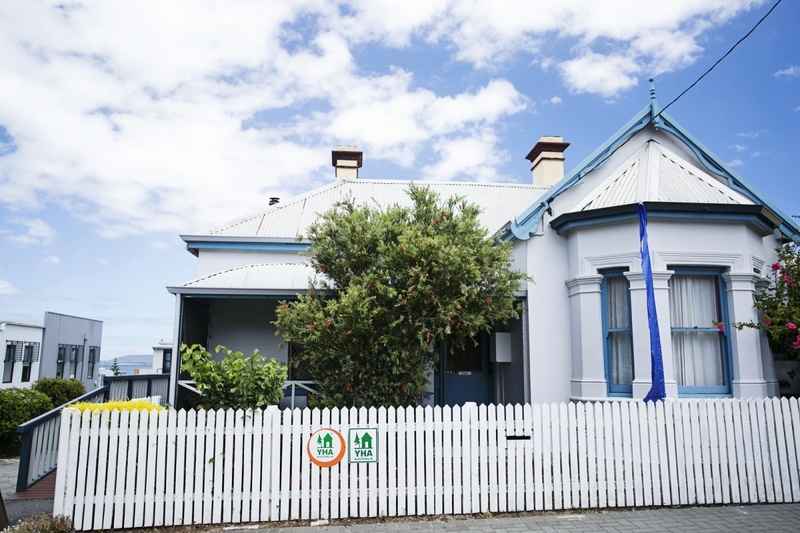 Look for the blue flags and white picket fence at the end of Duke St.
Our two-storey hostel was purpose built for budget accommodation in 1882 and has been looking after travellers ever since. Now it is a heritage listed building with all the charm of yesteryear, however, it is cheerfully blended with modern amenities. Linen and towels included. Choice of room types: dorms, doubles, queens, and twins. Big, fully equipped communal kitchen. Clean shared bathrooms. The private rooms have a TV, small fridge, heater, towels and a harbour view. The hostel offers 24 free tea and coffee, a free basic breakfast and free wifi to all guests. Is the Albany Bayview Lodge YHA the final stop for your completion of the Bibbulmun Track? If the answer is "yes" then let us spoil you. After all, you deserve it. When you make your booking just let us know that Albany Bayview Lodge YHA will mark the completion of the Track and you'll receive a FREE WELCOME PACK on arrival. The Welcome Pack includes towel, guest soap, shampoo/conditioner, laundry powder, candy and free wi-fi so you can tell your friends and family all about your achievement. We'll even throw in a map of the area with dining out recommendations so you can refuel after all your hard work.